The service design community is becoming larger every day. We are very excited for the discipline to grow, because we truly believe that service design is the key to future social and economic success. To better connect the more than 30.000 people that already follow SDN's activities, we’re pleased to launch the official SDN Community workspace on Slack. It is open to both paid members of the SDN, as well as our community followers and the wider service design community. Join today – it’s free! Our Slack workspace offers a community platform for service designers around the globe, with direct community interaction, discussion and knowledge sharing. It will also benefit from the unmatched depth of the SDN’s existing resources – from our publications and awareness initiatives, to our growing network of 30 chapters worldwide, and to an exciting new series of online events. By joining, you’ll not only be among the first to know when SDN shares new content, but you’ll be able to harness the power of our community to stay up-to-date, advance your skills, and connect with others. Join our Slack community and connect with your peers! While Slack is used in over 100 countries and has 9 million active users per week, we realise it still may be new to some in our community. 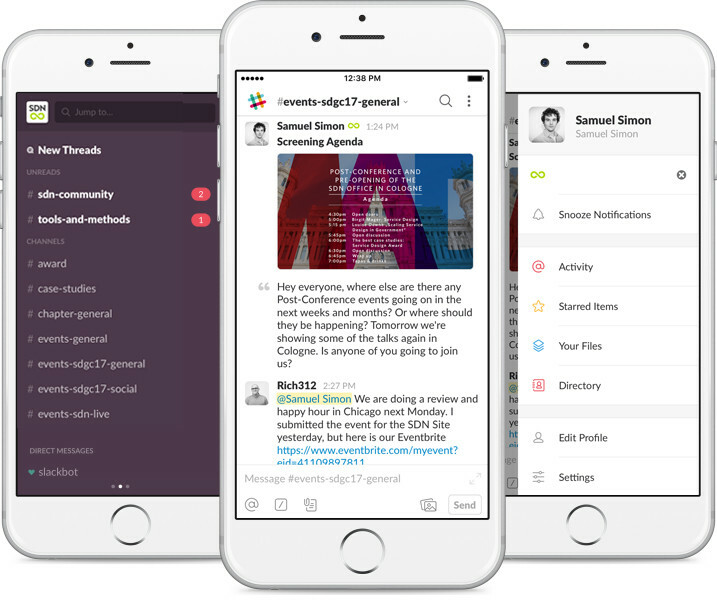 We’d encourage you to learn more about Slack on their website or read this help article. Visit sdn-community.slack.com and get involved!